Purpose: diversity particularly in vegetables and fruits has been associated with better nutritional profile, reduction in overall risk of cancer risk, diabetes and cardiovascular disease. Vegetable and fruit diversity was thus studied in 513 subjects belonging to a single community belonging to higher socioeconomic strata in the city of Mumbai. Method: diversity of consumption of 68 vegetables and fruits was examined over a week’s period. The reasons for non-consumption of vegetables and fruits were also studied. Results: more than 90% of subjects had lowest mean percent diversity for leafy vegetables, vegetables and roots, due to dislike for vegetables. Significant differences in the distribution of mean percent diversity was observed for other vegetables (p 5 0.000) and for fruits (p 5 0.000). 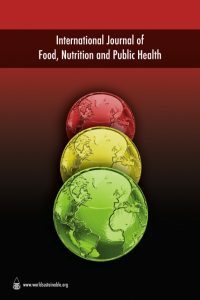 Value: the study has brought forth a very important and significant issue of poor vegetable diversity, thus emphasising the need for nutrition education programmes focusing on diversity.